There are laws that restrict the sale of certain products and services to underage people. If you run a Squarespace website to sell such products, you must prove that you took reasonable steps to ensure that you didn't sell a product to anyone who is underage. When someone visits your website for the first time, they'll see the popup. Your website will be displayed 'underneath' the popup, but a semi-transparent overlay will prevent them accessing the site until they click one of the buttons in the popup. 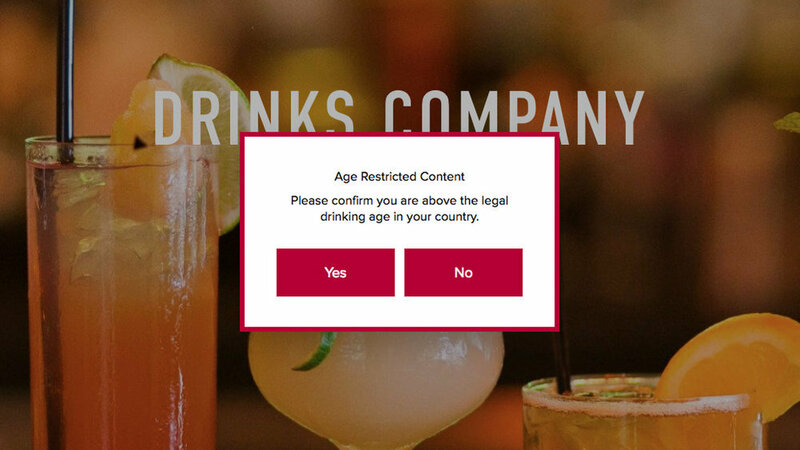 If they tap the Yes button, the popup will disappear (in an animated way) and they'll be allowed to access your site. A cookie will be created on their device so that the popup doesn't reappear for a set period of time. You define the period in minutes! If they click the No button, they'll see a message explaining that they cannot visit the website. A button in the popup allows them to return to the website they were viewing previously. You can try it here, using the password 'demo'. Yes! You can customise everything about the popup. For example, you can modify the wording to make it suitable for your site or you can completely change the language. This includes the wording on the buttons (Yes, No and Go Back). You can also change the colours of everything - the text, the background and the border. You could also resize the popup if you wanted to, but we think it's pretty flexible already. We've made it 400 pixels wide x 250 pixels high and centred it on the display. We’ve also make it responsive so that on smaller mobile screens the width is reduced to 320 pixels. How can I add this to my Squarespace site? The plugin is compatible with all Squarespace template families. Your Squarespace website must be on a Business Plan or higher. Personal Plans do not support plugins.